Wallets are always essential. It’s a small case that is used to carry money, identification cards and other personal items. For most girls, even though they have handbags to hold their personal items, most still own a wallet to keep their money organized. They are usually made from leather or other type of fabric, but as time progresses, wallets have also become a fashion statement. They now all come in different shapes and sizes, vivid colors, and they have also added other uses as well in order to maximize their use. High-end brands such as Gucci and Louis Vuitton have been two of the major leaders in selling the world’s most coveted women’s wallets. Now that Christmas is almost here, it’s a perfect gift to give to your loved ones this season. But of course, what makes these wallets highly coveted is that they are really expensive. 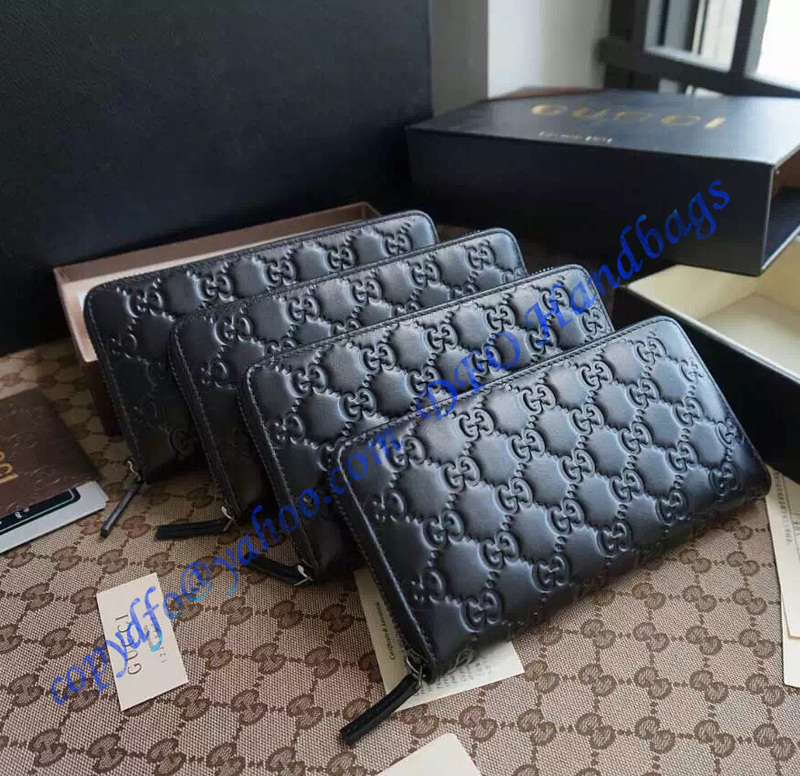 High-end branded wallets are always too difficult to buy because of their price range, and of course, since for most girls buying high-end is not a norm, they often get confused on what to choose when the opportunity to buy comes, because they want to make sure they get the most out of their money. 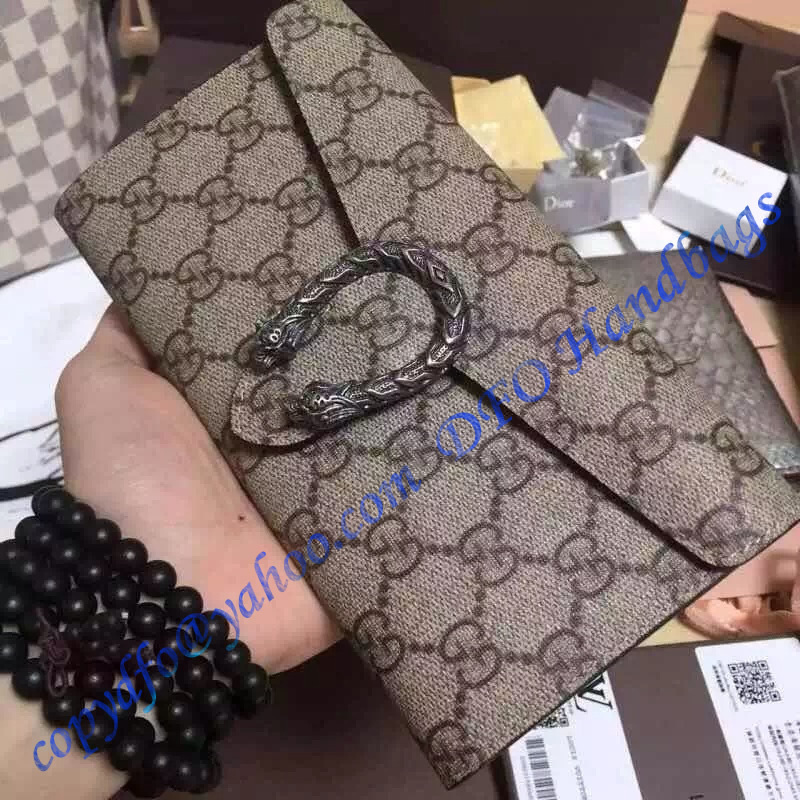 That’s why in this article, we are going to list down 4 of the top wallet choices from Gucci. These wallets are all available at Luxtime DFO Handbags, which is the best online store to shop for cheap designer bags and purses that are perfect for gift buying this Christmas. Who says only little girls can appreciate the color Pink? Most women would fall head over heels with its elegant design. 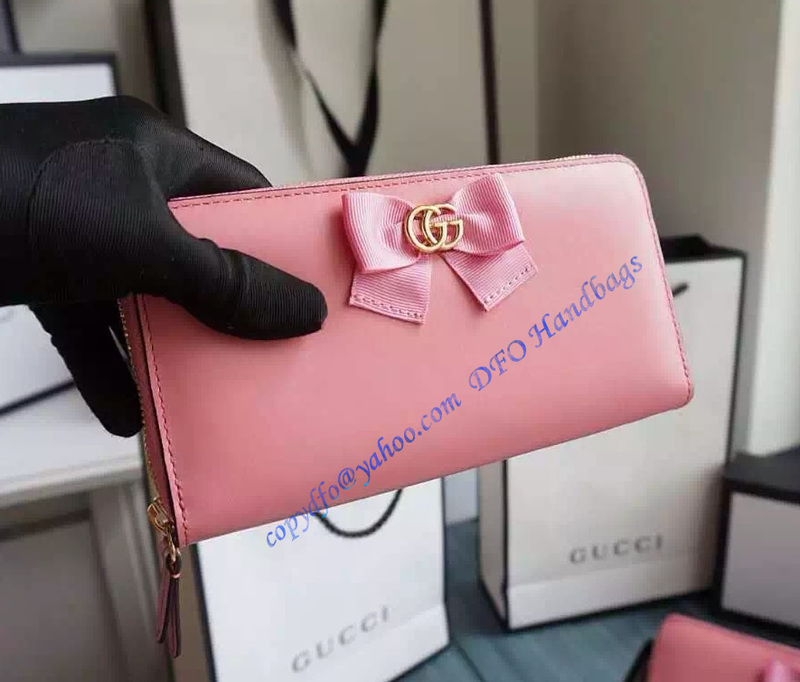 It has a cute pink bow at the top of the wallet, as well as a zip-around closure with zipped coin compartment, several card slots and bill compartments. It’s a surefire product that will make any little girl within you swoon. Superbly made with guccisima leather, this all black beauty from its leather trim to the interior lining screams elegant at its best. No one can ever go wrong with neutral black with its elegant color and cool style. You can keep most of your cash, identification cards and other loose change on its built-in 12 card slots, 3 bill compartments and zipped coin pocket. Use it during cool events and you’ll definitely be the stylish girl of the party. Every detail in this wallet is made with utmost care and total exquisiteness in mind. It is made from the best GG beige/ebony gg supreme canvas with bee embroidery. It has a distinctive tiger head spur closure that makes this wallet the supreme one of them all. Its edges and overall details are hand-painted and hand-stitched. It also features a tab snap closure and antique metal hardware. This wallet’s interior is also maximized to its full practicality with twelve card slots, two bill compartments, two separate interior compartments, and a zipper coin pocket.. This wallet screams of femininity and spring. Its light pink color gives this product a timeless, elegant look perfect for your typical office outfit or if you’re out on a romantic date. It is made from the signature featherweight leather, making this wallet especially soft and flexible. It’s a refreshing element that adds beauty to Gucci’s wallet collection, with its timeless continental shape and well-crafted interior. It has a double G closure with antique gold toned metal pieces. Inside this gorgeous wallet are 6 card slots, 2 bill compartments, 2 separate interior compartments, and a zipper coin pocket. These are just 4 of Gucci’s most coveted wallets that every girl could ever want. It’s Italian elegance and heritage makes this a must-have for anyone’s wallet collection, and the brand is well known for its quality that matches its price. Gucci is an Italian luxury fashion brand and leather goods that is under Kering, a French holding company. Nevertheless, with Luxtime anyone can have access to this superior brand in a much affordable price. Although wallets are mostly stowed and hidden inside a girl’s bag, it would be a shame if it’s not seen by the public since it’s a well-known fashion accessory. Sometimes you would know a person’s taste with their choice of fashion accessory. 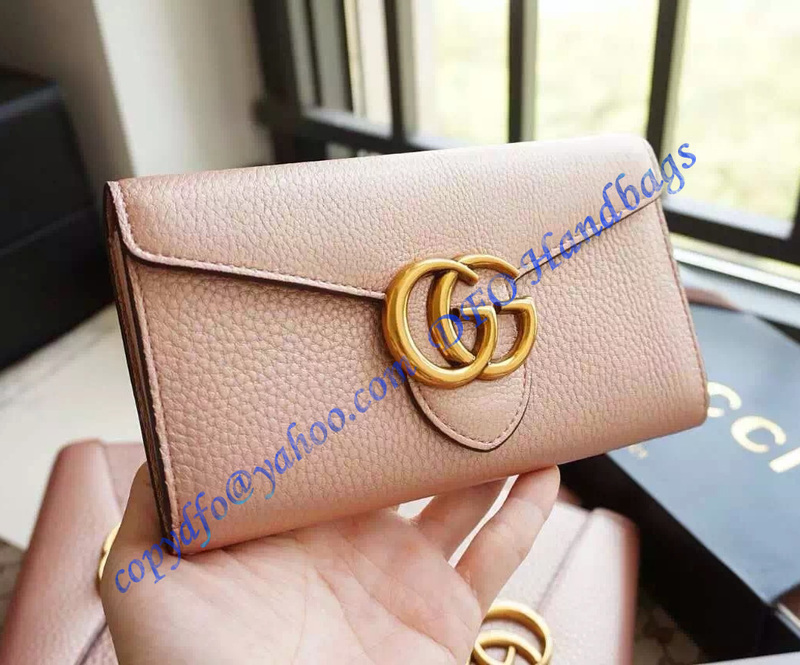 That’s why Gucci addressed the need to make every detail as exquisite as possible thus making Gucci one of the leading brands when it comes to quality wallets for women. You can make sure that every bit of the product is superbly made and no expense is spared. But you might also wonder when we mentioned that you can get cheap designer brands of bags, wallets and other accessories in Luxtime. You might be worried that you’ll be getting product that only look like the original, but fail to meet the authentic quality these brands possess. You need not worry. The cheapness only refers to the price you can get at Luxtime unlike shopping at a retail store. You can compare a Gucci wallet bought at a retail store with the same product bought at Luxtime and you won’t see a speck of difference. The reason we are selling these brands at a fraction of the original price is because we don’t have to contract people to run our store and pay for the overhead of a large company, store or chain. Our business plan is honed to be more proficient by selling directly from one place thus allowing us to charge for a much lower price.